If your company is a car, data can change it from a sedan to a Porsche. Data-driven marketing helps you predict what your customers want and deliver it faster and better. 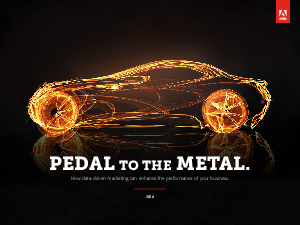 Our report, Demonstrating Impact: Pedal to the Metal, outlines five ways data-driven marketing can transform your business into a machine that can leave your competition in the dust. Download our guide to transform your business.